The Mt. 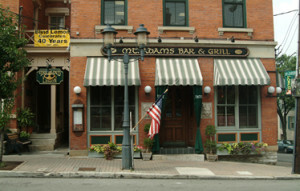 Adams Bar & Grill is located at the corner of Hatch and Louden Streets in Historic Mt. Adams.